Alimony (now called “spousal support”) is available to both men and women upon divorce, depending upon economic circumstances. Courts do not look at gender when deciding to whom to award spousal support, but rather they determine which of the two spouses was the major breadwinner and may then award alimony to the more economically dependent spouse. The state of New Jersey has identified 13 factors that are considered by the courts in deciding if, and how much, spousal support will be awarded, as follows: (1) the actual need and ability of the parties to pay; (2) the duration of the marriage; (3) the age, physical and emotional health of the parties; (4) the standard of living established in the marriage and the likelihood that each party can maintain a reasonably comparable standard of living; (5) the earning capacities, educational levels, vocational skills and employability of the parties; (6) the length of absence from the job market of the spouse seeking spousal support; (7) the parental responsibilities for the children; (8) the time and expense necessary to acquire sufficient education or training to enable the party seeking spousal support to find appropriate employment, and the opportunity for future acquisitions of capital assets and income; (9) the history of the financial or nonfinancial contributions to the marriage by each party, including contributions to the care and education of the children and interruption of personal careers or educational opportunities; (10) the equitable distribution of property ordered and any payouts on equitable distribution, directly or indirectly, out of current income, to the extent this consideration is reasonable, just and fair; (11) the income available to either party through investment of any assets held by that party; (12) the tax treatment and consequences to both parties of any award of spousal support, including the designation of all or a portion of the payment as a nontaxable payment; and (13) any other facts that the court may deem relevant. Their are five different types of spousal support that may be awarded in New Jersey: pendente lite, reimbursement, limited duration, rehabilitative and open durational. Pendente lite alimony is the only form of spousal support temporarily awarded during the divorce process. This type of support allows the two parties to maintain the “status quo” until a full analysis of their financial affairs is achieved. It usually expires when a final decree of divorce is entered. This type of alimony recognizes the sacrifices one spouse made during the marriage, such as maintaining the house and/or working and turning over the money toward the other spouse’s education or career development, in order to enhance that spouse’s potential earning capacity and increase the couple’s standard of living. This type of alimony is usually limited to the time it takes to repay the financial benefits that were provided by the supported spouse. Reimbursement alimony is designed to make a sacrificing spouse whole. 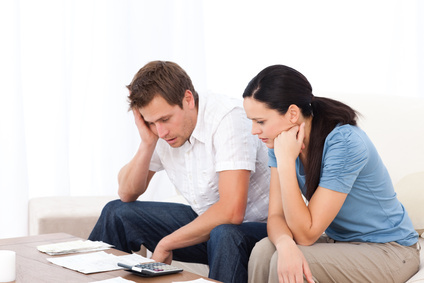 Rehabilitative alimony is designed to facilitate the earning capacity of a dependent spouse. In other words, it provides the economic ability for the spouse to go back to college or get specific job training in order to (re)enter the workforce. Again, this type of alimony is temporary in nature. This is also known as “term” alimony. It is awarded when the marriage was short, but an economic need exists for spousal support. It is ordered for a limited time only. For any marriage of less than 20 years in duration, the total duration of alimony shall not, except in exceptional circumstances, exceed the length of the marriage. Determination is made by the court based upon an evaluation of the traditional factors, as well as the ability for both parties to maintain a comparable standard of living. Thus, neither party has a greater entitlement to the marital lifestyle than does the other. If you need quality legal advice or passionate representation related to alimony, contact The Salvo Law Firm today.